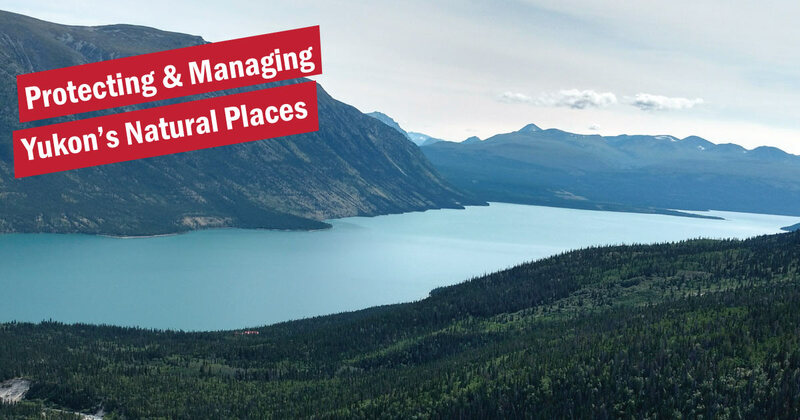 Chapter 10 of the Yukon Final Agreements is all about Special Management Areas – that means parks, bird sanctuaries, heritage sites, watershed protection areas, or habitat protection areas. The goal of Chapter 10 is to recognize and maintain important features of the Yukon's natural and cultural environment for the benefit of all Yukoners, while respecting the rights of Yukon First Nations. The Final Agreements establish a number of Special Management Areas and outline how they will be jointly managed by the Government of Yukon, Canada and First Nations. The governments work together to develop joint management plans for these areas. Special Management Areas can be protected through different laws depending on what needs safeguarding. The Yukon and National Parks Acts, Yukon and Canadian Wildlife Acts, and Yukon’s Heritage Resources Act are all laws that can be used to protect these areas. 7 of Yukon’s 8 large territorial parks are a result of Yukon and Northwest Territories land claim agreements. Coal River Springs is the only one that is not. All of Yukon’s national parks a result of land claims agreements in Yukon and Northwest territories. The Yukon and First Nations governments are working together to develop and implement management plans for these other Habitat Protection and Special Management Areas. Part Four - Settlement and Governance from Council of Yukon First Nations. Part Three - From Yesterday to Tomorrow from Council of Yukon First Nations. Part Two - Give Our Grandchildren Back from Council of Yukon First Nations.